The final season of Game Of Thrones likely to attract over one billion viewers. The most anticipated eighth and final series of Game of Thrones is premiering in a week. We kind of already know it is the biggest show on TV right now, but the scale of how huge it is might be surprising to even the fans. 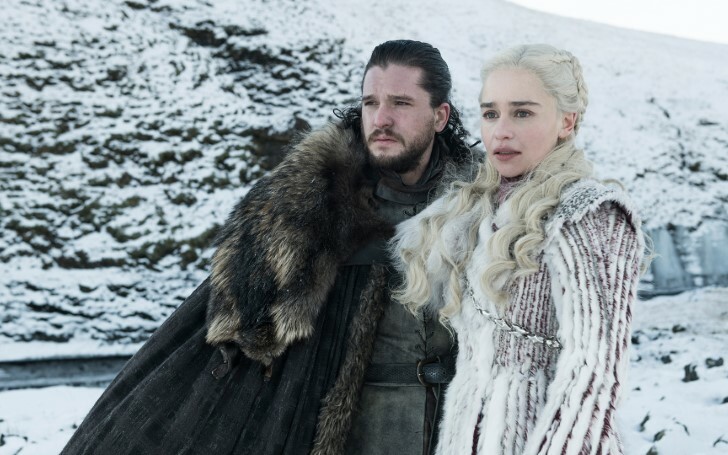 The recent estimates suggest around one billion people could be tuning in to each of the six episodes in the final season. When you think about it, this is quite a staggering number of people around the globe watching a common TV show. Also See: The Final Season of Game of Thrones is upon us; Whose Death Will Change The Story Line and How? GOT is shown in 170 different countries and it looks like pretty much everyone around the world is excited to watch what awaits in the concluding season that determines the fate of Westeros. It goes without saying the records look likely to tumble once again. As a matter of fact, last season's finale titled 'The Dragon and the Wolf' was watched by 16.5 million people in the United States alone. This was a significant rise from season 6 when 8.9 million audiences watched it air live. The upcoming season has promised the biggest battle ever seen on television and Game of Thrones is notoriously known for delivering what it promises. It's not too far fetched to believe GOT season 8 could be the biggest event in TV history. Rolling Stone Magazine's Chief Critic Alan Sepinwall tried explaining the show. He said: "It's viscerally thrilling in a way that almost nothing on TV has ever been before. It does things you never expect TV to be able to do in terms of dragons flying and burning up entire armies and zombies storming down a mountain." Alan continued, "When Game of Thrones debuted, back in 2017, TV was a totally different place. Netflix, Hulu, and Amazon hadn't begun to create their own programming, and the audience for great shows wasn't splintered across niche genres and formats. It was actually possible and enjoyable to keep up with Game of Thrones and other great shows like Homeland, Breaking Bad and Mad Men as they unfolded week by week." Sepinwall added: "Now dozens of original shows, documentaries and mini-series are dumped on to streaming services every month and even the best of them reach much smaller fragmented audiences."